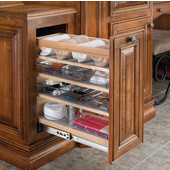 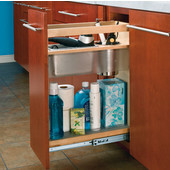 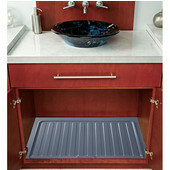 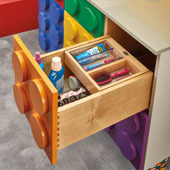 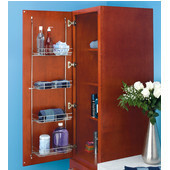 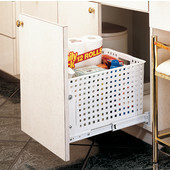 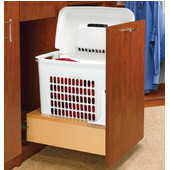 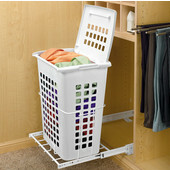 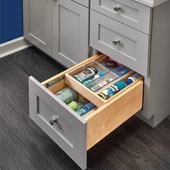 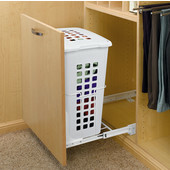 These Vanity Pull-Outs by Rev-A-Shelf are perfect for organizing hair dryers, curling irons and other grooming items. 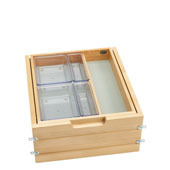 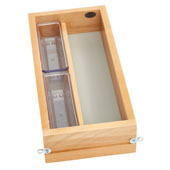 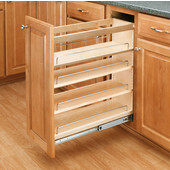 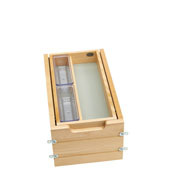 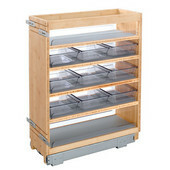 The pull-outs are available in solid maple and have patented tri-slides. 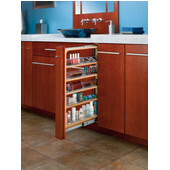 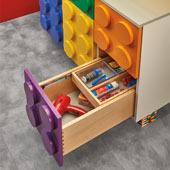 A wide variety of bathroom products will fit in these pull-outs because the shelves are adjustable. 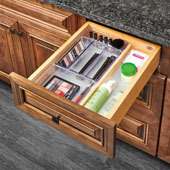 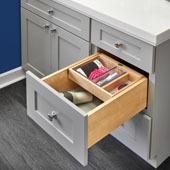 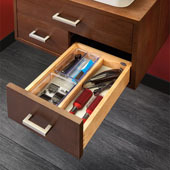 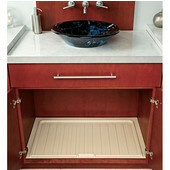 These vanities also have clear poly carbonate storage trays.